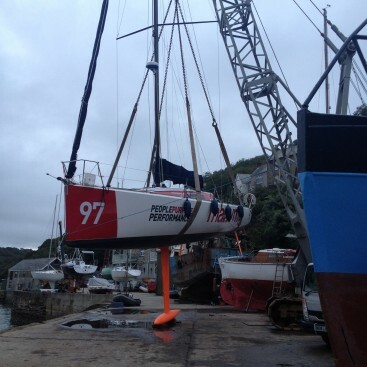 Our boatyard is based in Polruan which is on Fowey Harbour in Cornwall and provides slipway and craneage facilities for a wide range of commercial and leisure craft. 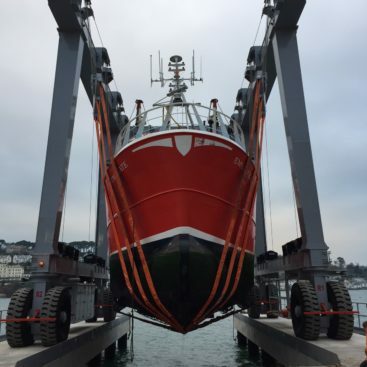 We have one slipway capable of taking vessels up to a maximum weight of 300 tonnes, overall length of 30 metres, draught of 4.5 metres and a beam 7.5 metres. For smaller vessels, longer term projects and storage, we have a 220 tonnes boat hoist and 50 tonnes crane. 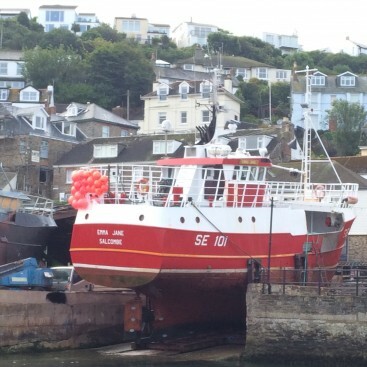 We can offer a wide range of services whilst your vessel is in the yard including antifouling and anodes, full paint work, wood and steel repairs and refit, general and hydraulic engineering, shaft and stern gear work, electronics and general maintenance. Further details are available on our Repair and Refit page. Additional facilities such as cleaning equipment, shore power, chandlery, showers and a laundrette as also available on site. We work very closely with all of our owners to meet their requirements. If you would like more information about our slipway or craneage facilities or would like to book a slot on our slipway, please give us a call on 01726 870232.